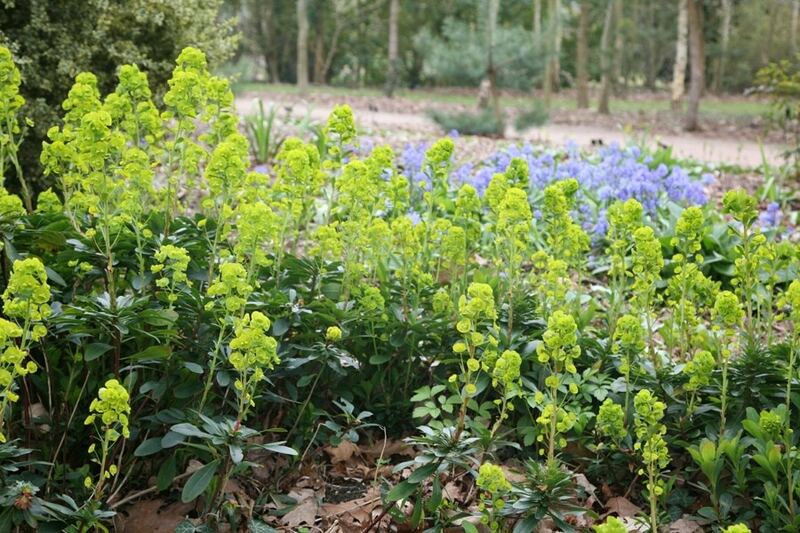 A compact, shade-loving, spreading euphorbia that has long-lasting, lime-green flowers in late spring above rosettes of glossy, dark green leaves. It's a valuable plant for difficult areas of dry shade, particularly under trees and it also looks at home in a woodland setting. As it is evergreen and suckering it also makes attractive groundcover. Left unchecked it can become invasive, romping through areas of a small garden. Lovely plant, arrived in great condition last summer, is still in great condition after the winter. Planted in a shady spot under a tree where I have struggled to find suitable plants previously. Received in good condition and planted out in a shady spot last Autumn. It has grown well, despite the dry summer and is well on the way to being a substantial bush. 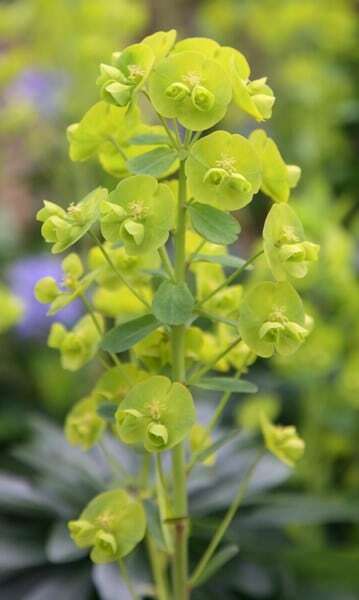 Long-lived vivid flowers that last for months, possibly longer than any other Euphorbia. Self-seeds vigorously which is a bonus as plant-lovers beg for offshoots. HI, Given their habit for spreading how far apart should I plant a group of these? Hello, It really depends on how impatient you are. They will eventually spread up to 1m across, so in theory you could plant them 1m apart, but for a more a more immediate impact, I would recommend planting at 45cm intervals.